As an individual or business owner, you may face any of a number of situations that may require competent legal counsel. Whether it is to address a complex business or real estate transaction, develop an estate plan to preserve your assets, or handle a bankruptcy dispute, you need a team you can rely on to protect your interests every single step of the way. That is the level of counsel delivered by Messina & Hankin, plus more. When you come to our firm, you can expect to receive intelligent, strategic legal representation by a team with diverse and extensive experience in financial planning, business law, and real estate. Every attorney at Messina & Hankin has at least 25 years of legal experience. Mr. Hankin has over 40 years of legal experience and is an attorney and a CPA, and Mr. Messina is an attorney and a licensed real estate broker. We work collaboratively to provide the highest quality counsel. With well over 1,000 cases handled and a focus on results-driven counsel, our business lawyers are standing by at our Murrieta and Newport Beach offices to see how they can help you. Contact Messina & Hankin online or call (951) 363-2134 for a consultation. When your company or finances are on the line, you need a firm you can trust. Messina & Hankin has been serving the Riverside County area for over 30 years. 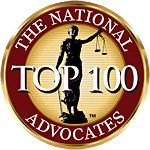 Our attorneys have 150 years of collective experience, and we have handled over 1,000 cases. These are just a few key figures that set us apart from the rest of the firms in the area. 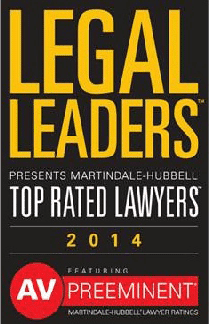 When you put a Murrieta business attorney from Messina & Hankin on your side, you know you are working with the best. Give us a call, and you will find that we are ready to prove it to you.